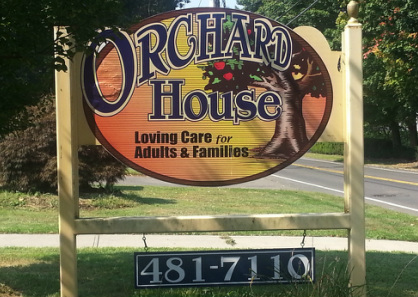 Orchard House has been providing Adult Day Services to aging adults who live with cognitive, physical, and emotional impairments for over 30 years. Orchard House continues to provide quality care, at an affordable cost, to adults who want to remain living independently in their homes while benefiting from a group environment. Customized care plans and day-to-day programming are provided to stimulate physical, intellectual, and social-emotional well-being. The onsite RN oversees the medical needs of clients which include medication management, wound care, and coordination of care services, while the Certified Recreation Therapist engages program participants in group activities such as Tai Chi, expressive art, horticultural therapy, and musical offerings, just to name a few. Additional services offered to participants include two meals daily, transportation, podiatry services, beautician, and assistance with personal care needs. Orchard House remains a resource along the shoreline that provides security to seniors, and peace of mind to family caregivers, that allow for a healthy work-life balance.